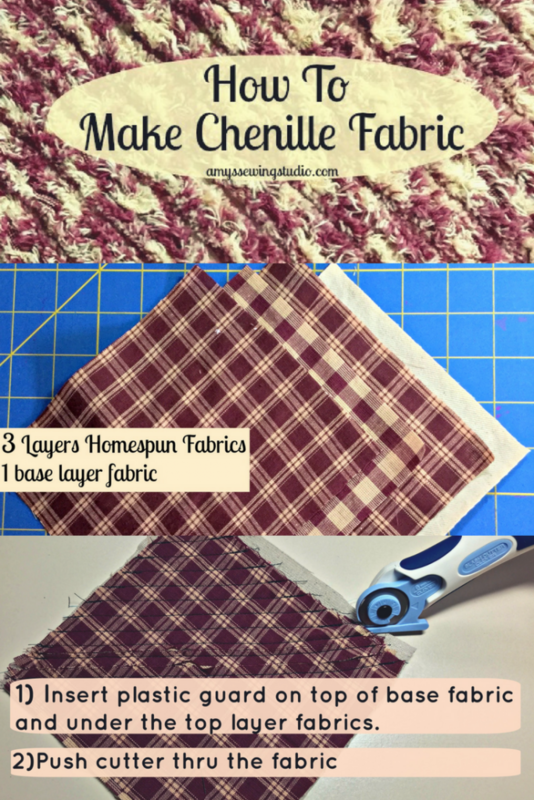 Make Chenille Fabric: Add some fun fabric texture to your projects! You are here: Home / Fun Sewing Projects / Make Chenille Fabric: Add some fun fabric texture to your projects! 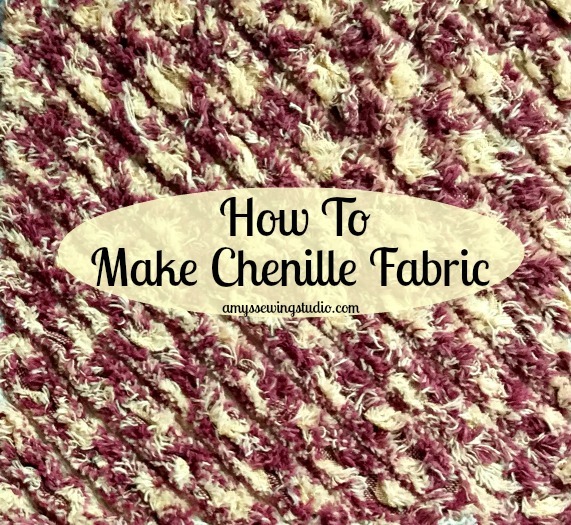 Did you know that you can make chenille fabric? You can use a single color of fabric OR use several colors of fabric to create many fun color effects! 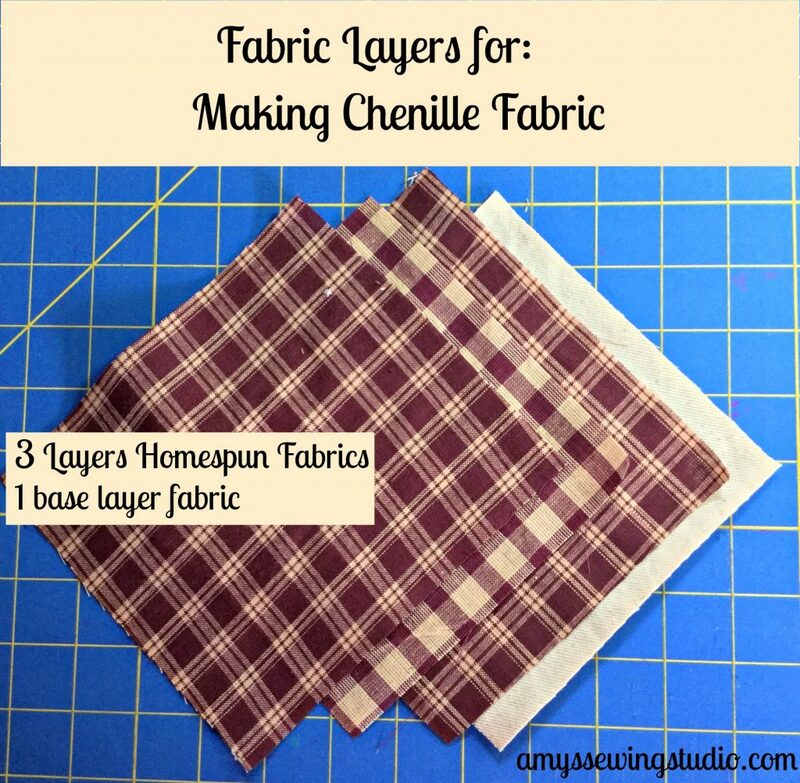 I’ll be showing you how to make your own chenille fabric with Homespun Cotton Fabric. 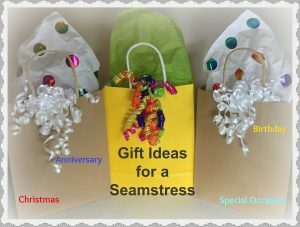 I have a book I’m referring to for this post called Creative Cotton Chenille. 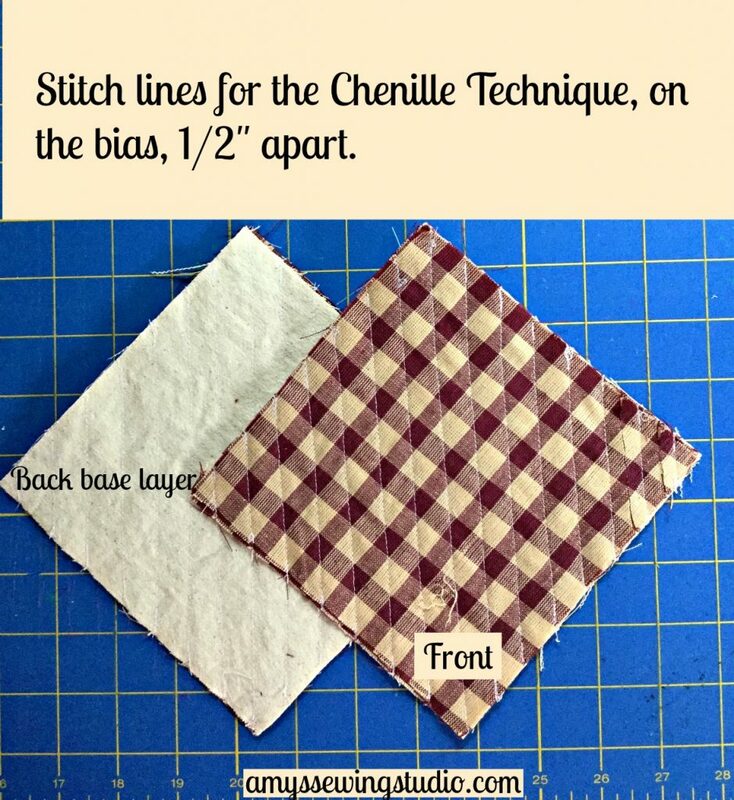 I bought this book from a sewing and quilt show, and I thought I’d make up some sample chenille fabric pieces and help you to learn the ‘how-to’ for the chenille technique. You can make some pretty neat things featuring chenille like vests, pillows, bags, rugs, potholders or whatever your creative mind can come up with! I was even thinking that you could combine chenille quilt squares among regular quilt squares to create a great looking visual appeal to a quilt! Using fabrics in different shades of predominately the same color will result in a look that is solid colored with flecks. You could choose a plaid color in the middle of the solid colors. Multicolored fabrics produce a multicolored chenille but placement of the layered fabrics causes different threads to dominate. Have fun experimenting until you find the look you like! 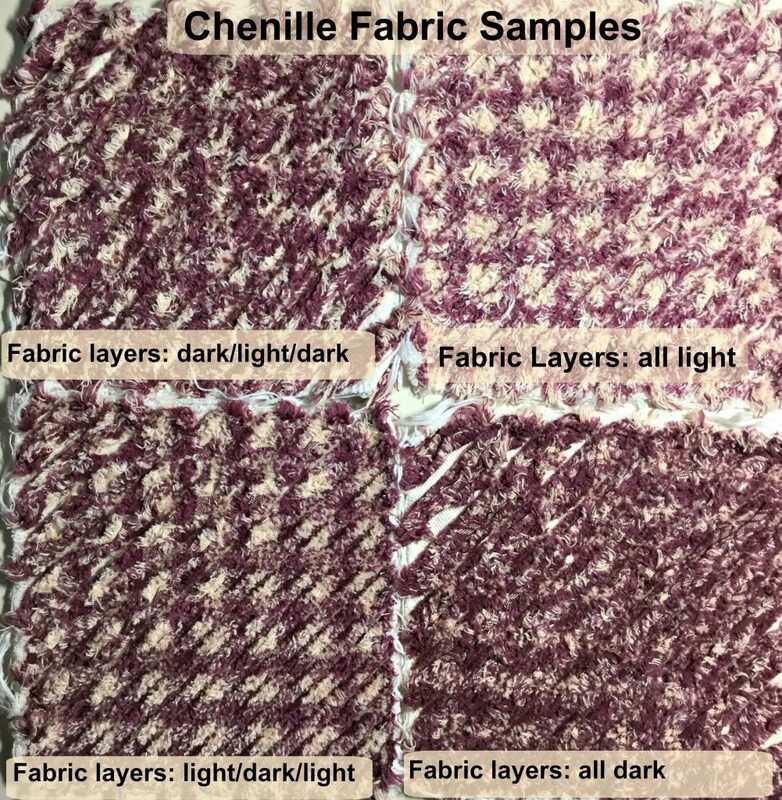 I chose to use plaid fabrics for my Chenille Fabric Samples. Bottom/base layer of fabric (I just had some beige denim laying around so I used that for my base) You can use any cotton fabric. The really cool thing about the newer style rotary blade specifically for the chenille technique is that you won’t have any accidental fabric cutting where you don’t want it. **If you are making a garment-you should pre-wash your base layer fabric. If you are just making samples like I am showing you, pre-washing the base is not necessary. One piece of bottom/base layer fabric; The UNCUT layer. Three pieces of Homespun fabric. All these pieces will be layered on top of each other. These are the layers that will be cut. You can just pin your layers together or use a fabric adhesive. Draw lines a consistent 1/2 ” apart, ON THE BIAS, using a clear plastic ruler and a pencil, chalk pencil, or a water soluble pen. You will stitch right on top of the lines you just marked. 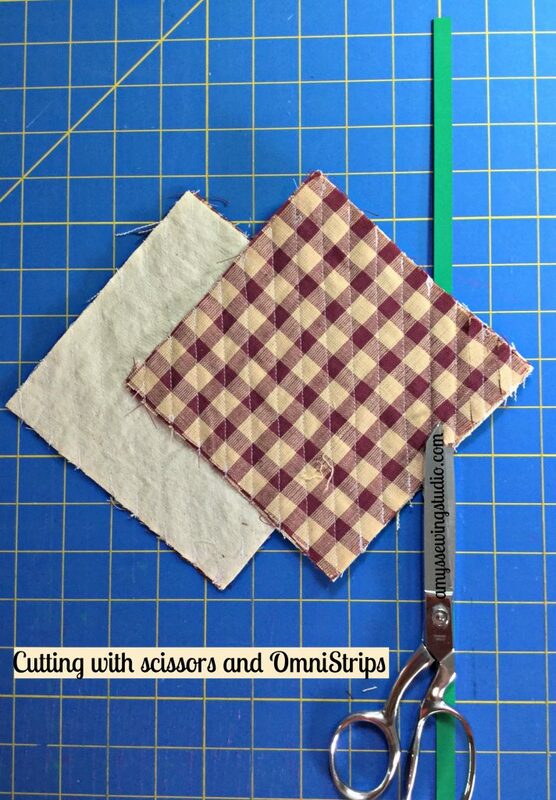 The picture below shows the chenille strips with the scissors, but you can cut the top layers of fabric with just the scissors only; no chenille strips necessary. 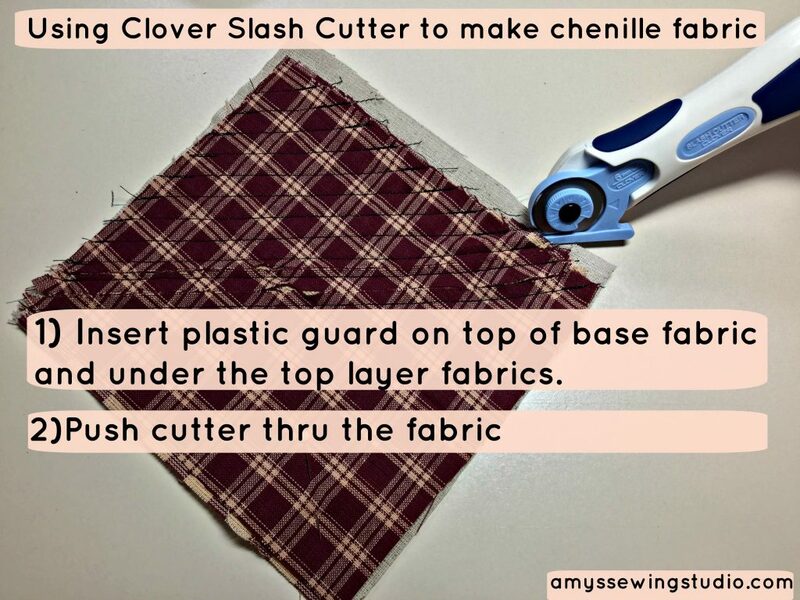 Use a Clover chenille cutter made specially for the Chenille Technique. The ease of use is so simple! 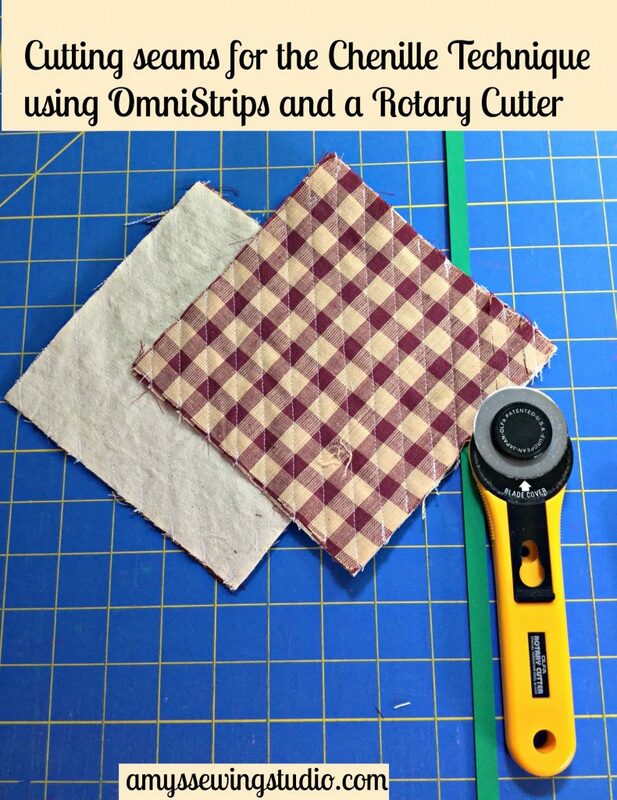 Saves time as opposed to cutting with scissors or having to insert a chenille strip in each row before you can use the regular rotary cutter. Less stress on your arm muscles, all you have to do is simply push the cutter through the fabric! This slash cutter also comes with another shorter plastic guide to be able to turn corners or 90 degree angles! 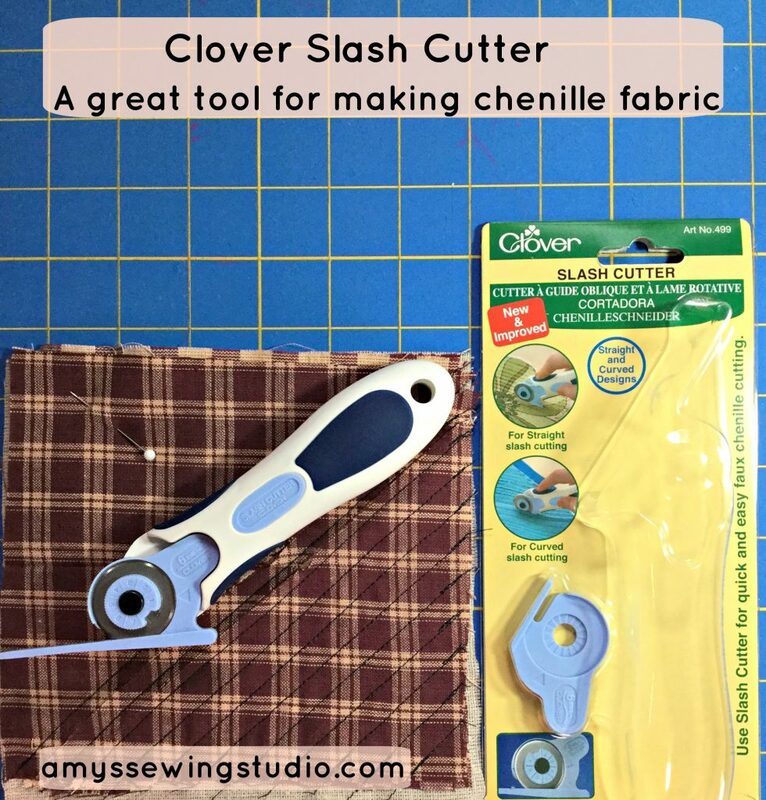 I highly recommend this Clover slash cutter be added to your sewing accessories! After you are done cutting, you are ready to wash and dry your sample pieces. The chenille effect will be achieved after your project is washed and dried. You could use a soft brush to help ‘fluff’ your chenille after it comes out of the dryer if you want. See sample pictures below! After washing and drying my samples, I wanted to make some samples with rows stitched at other widths and with extra layers of fabric just to see what the finished sample would look like. I was so excited waiting for the dryer to get done to see my experiments! Most seams are 1/2″, with three layers of homespun fabric. Bottom left square has 1/4 seams on half of the square. The following samples I made with different number of fabric layers, different seams, and different fabric layers. If you are a numbers person like me, you know there are endless varieties of chenille samples you can make! 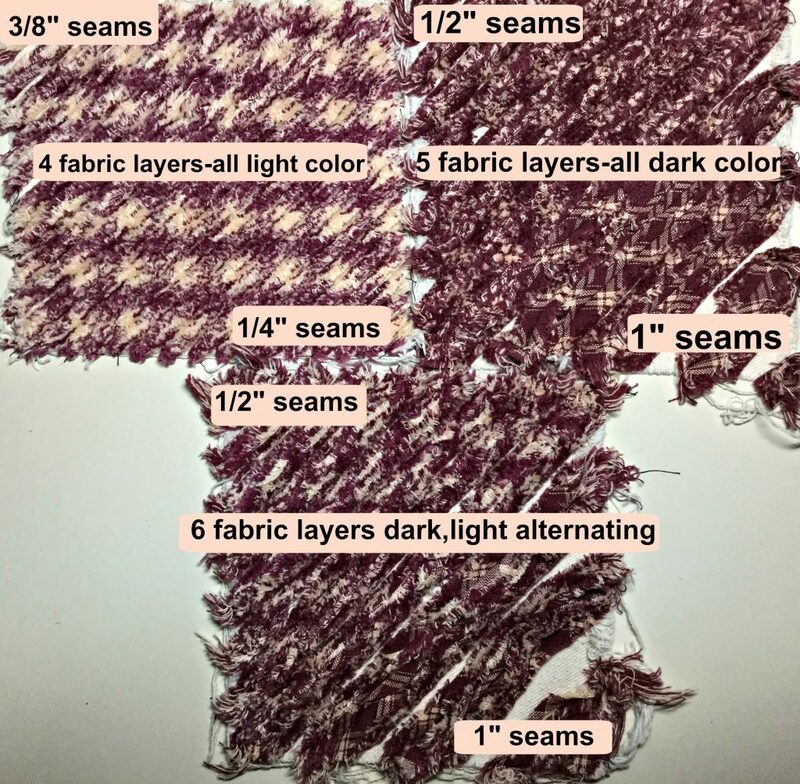 Three different squares, each square labeled with # of fabric layers, seam widths used (different seam widths on each side of center bias line) and fabric colors used. Out of all the samples I tried, I actually like the 1/4″ seams the best, the fabric felt softer and didn’t look as messy to me. We’ve all heard the saying that ‘Beauty is in the eye of the beholder’, now it is your turn to have fun and make chenille fabric! Chenille may refer to a type of yarn or a fabric made from the yarn. Chenille is a French word for caterpillar whose fur the yarn is supposed to resemble. (Wikipedia). What is most Chenille made from? 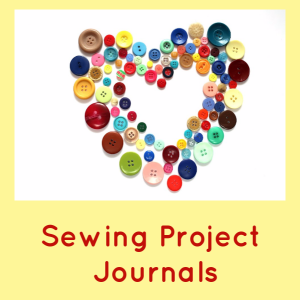 Thanks for reading and Happy Sewing! 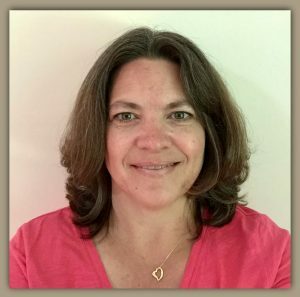 Please share this post on your favorite social media!